An amazing cabin with an amazing view. 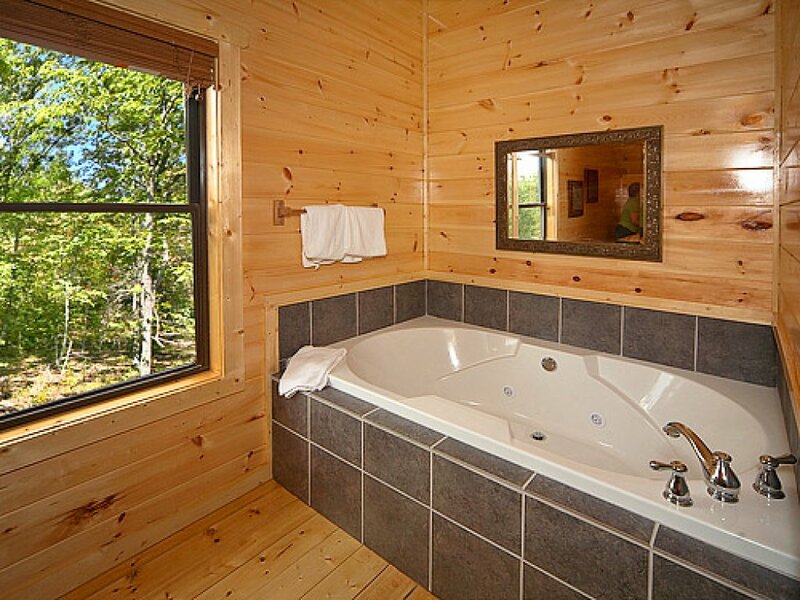 We recommend booking this cabin if available as it has one of the highest repeat visitor rates of all cabins given it's special location and special features. 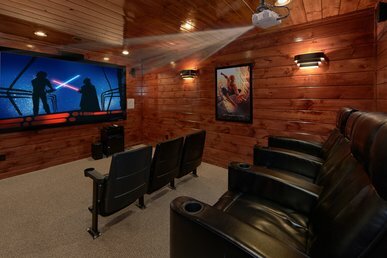 The View features 3 master suites, private home theater room with leather reclining theater seating and a 9 foot theater screen. 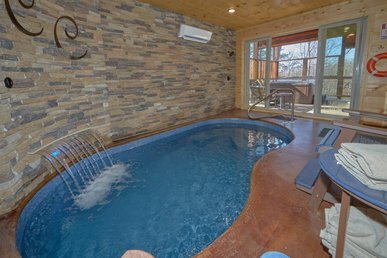 Other amenities include a pool table, air hockey, arcade game system with golden tee, gas grill, 2 Jacuzzi tubs, hot tub and luxury furniture. Fee wireless high speed internet. Free local and long distance. 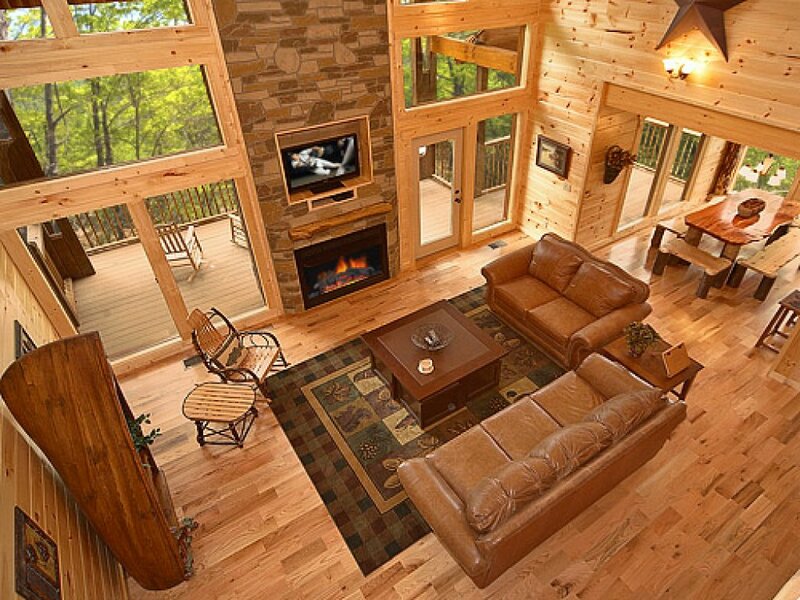 Nice cabin and great always. The cabin was beautiful and well maintained. We loved that it had a picnic table outside to enjoy our meals and admire the beautiful view. 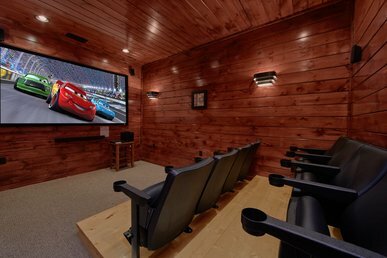 The only suggestions we would recommend is having a way to turn the volume down on the arcade game, so that your guests can enjoy it, offering more movies for the theater room, and a privacy wall for the hot tub. 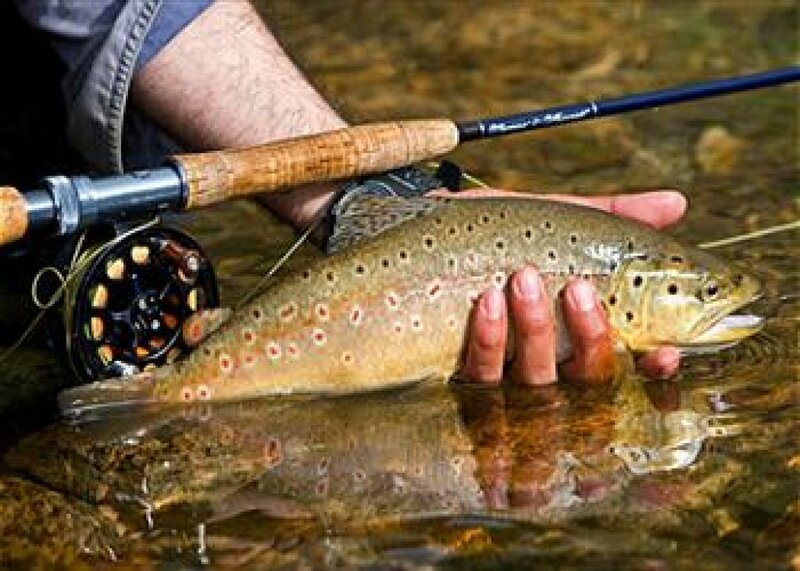 We rent from Elk Springs at least once a year and are rarely disappointed. The staff is always so wonderful and accommodating. This cabin was perfect for our family. 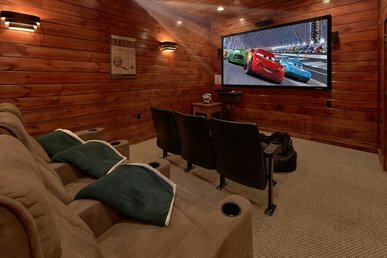 Our kids loved the movie room. 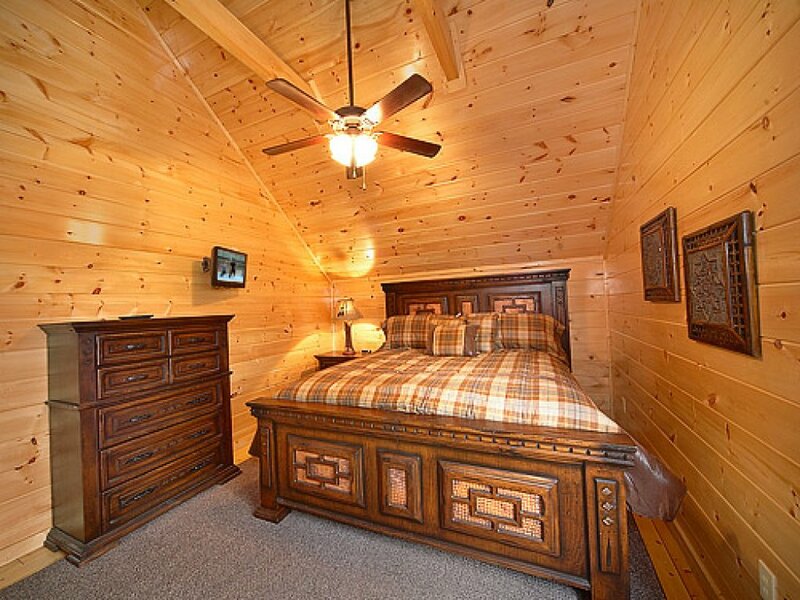 Conveniently close to attractions in Gatlinburg. Thank you for allowing us to be a part of your family's getaway, Aaron! We are delighted to hear that everyone had such a good time at The View. 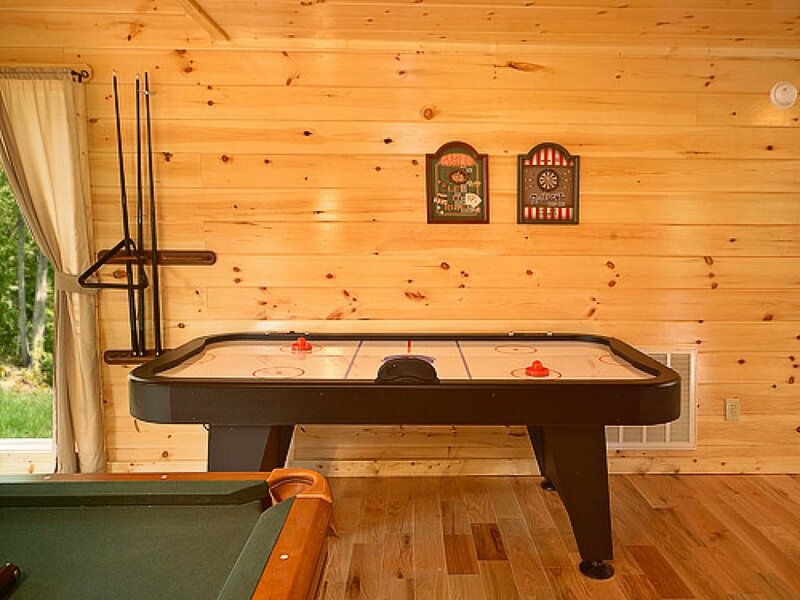 You definitely chose a great cabin full of top-notch amenities for everyone to enjoy, such as the theater room, pool table, and air hockey table. 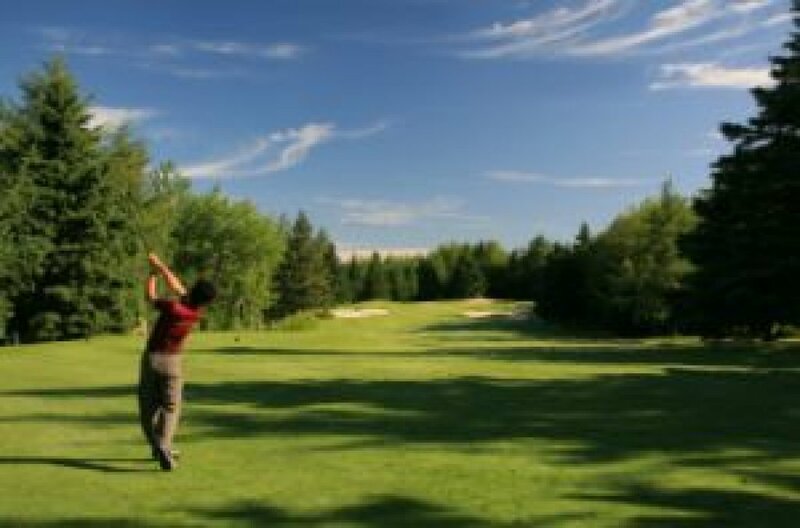 We really enjoyed having you as our guests, and we hope you will make plans to visit with Elk Springs again very soon. We encourage guests to book direct and save up to 15% on your booking. Hurry back, new memories are waiting to be made! Wonderful! This was the perfect place for our family to get away from our hectic lives for a few days. The views were amazing. The cabin was clean and well stocked. 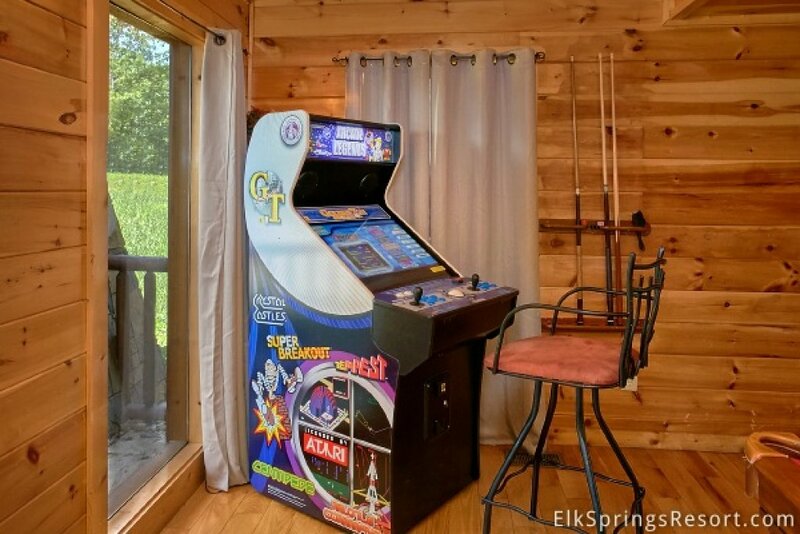 The arcade game, outside hottub and fireplace made it so much fun. We appreciate your fantastic 5-star review, Jennifer! 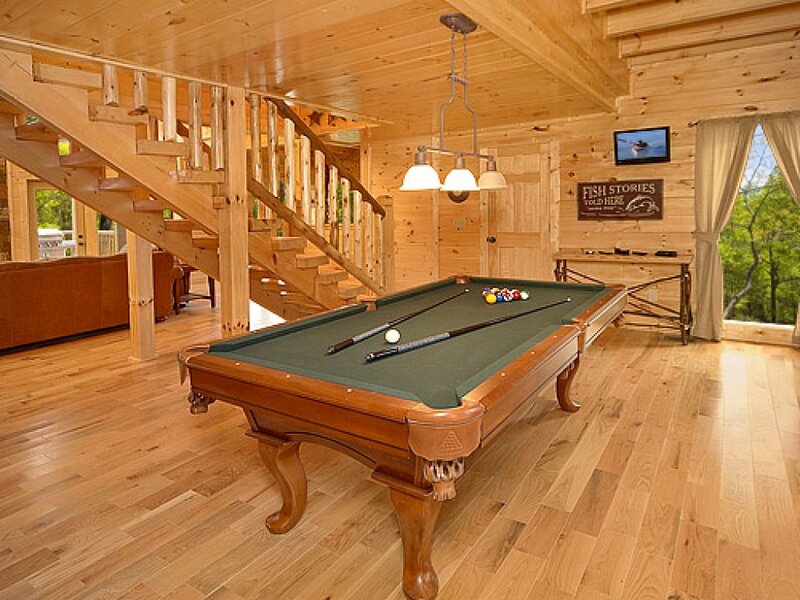 You certainly chose the perfect cabin for a quick family getaway. It is a pleasure to hear you had such a great time and you enjoyed the many amenities. We hope you will make plans to visit with us again on your next trip to The Great Smoky Mountains. We encourage guests to book direct and save up to 15% on your booking. 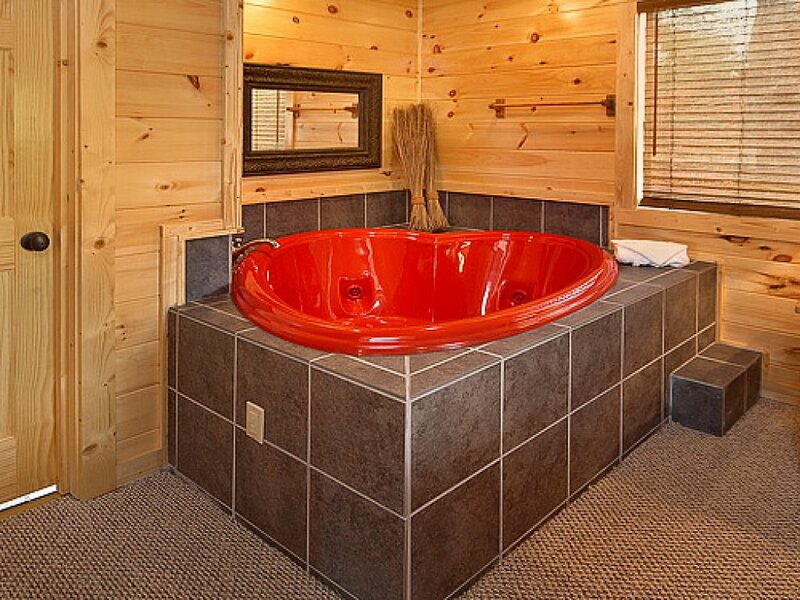 I thoroughly enjoy staying at any Elk Springs Cabin. Their customer service is top notch. My family and I stayed in The View at the beginning of December. There were 6 adults and 1 child. We all slept comfortably with room for more people to stay if needed. The cabin is clean and has lots of fun things to do! We were tempted to stay in the cabin the whole vacation! Thank you for your fabulous 5-star review, Joni! 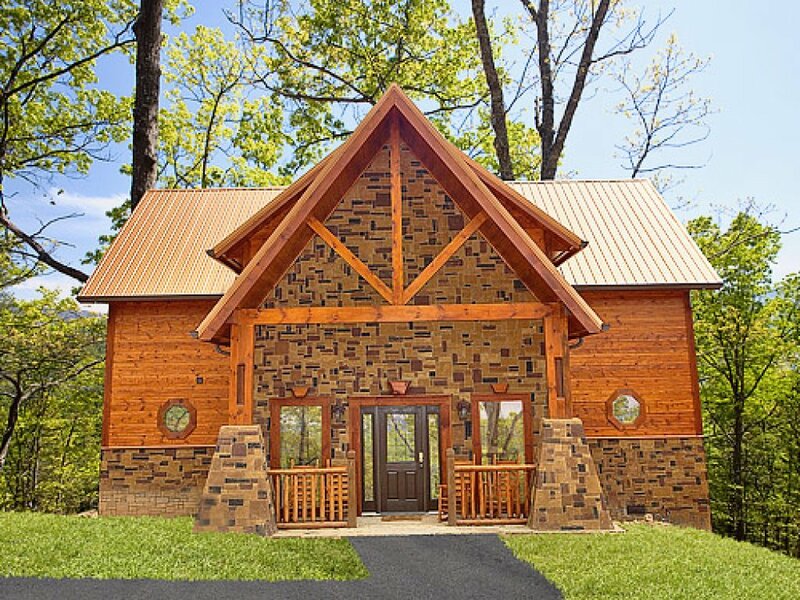 It sounds like you chose the perfect cabin for you and your family to relax and create some lasting memories together in. 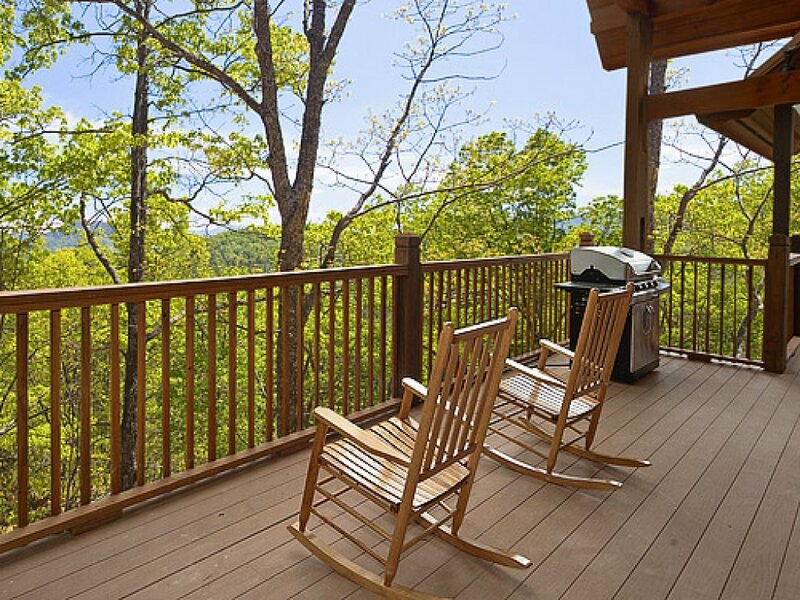 The View is full of top-notch amenities for the entire family to enjoy and the location is perfect for accessing the heart of downtown Gatlinburg. We loved having you as our guests, and we hope you will make plans to visit with us again very soon. Remember, as a repeat visitor you will save 10% on future stays. Thank you! 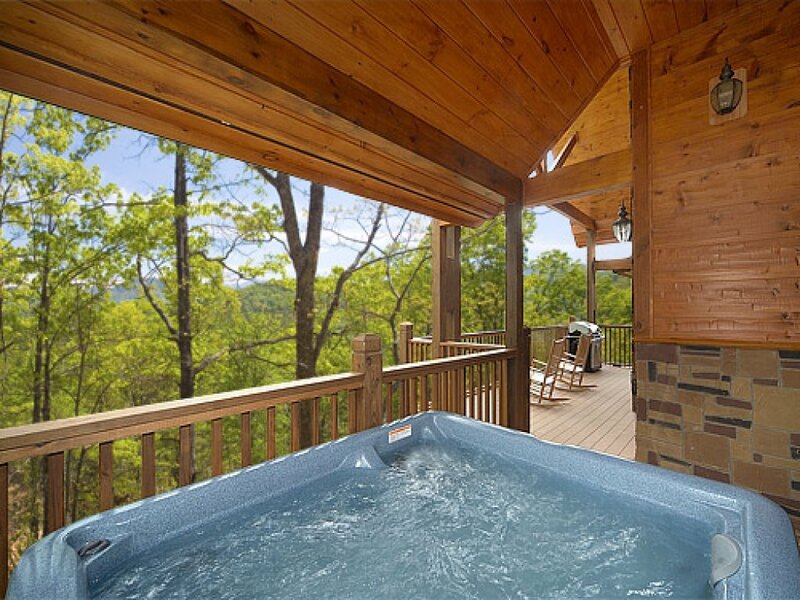 This cabin is perfectly situated at the end of a cul-de-sac with unobstructed views of the Smoky Mountains. Large and clean interior with plenty of space for everyone. The kids loved the unlimited arcade games and air hockey table and we all enjoyed the outdoor hot tub. 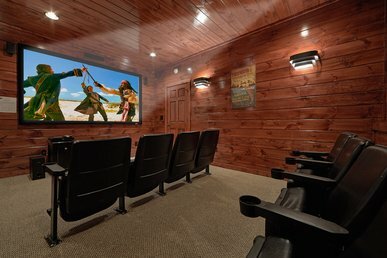 The movie theatre was great for evening entertainment after a long day in the mountains - just make sure to bring DVDs or pick some up at the Food City Redbox (10 minute drive). Definitely recommend The View. Thank you for your fantastic 5-star review, Maud! 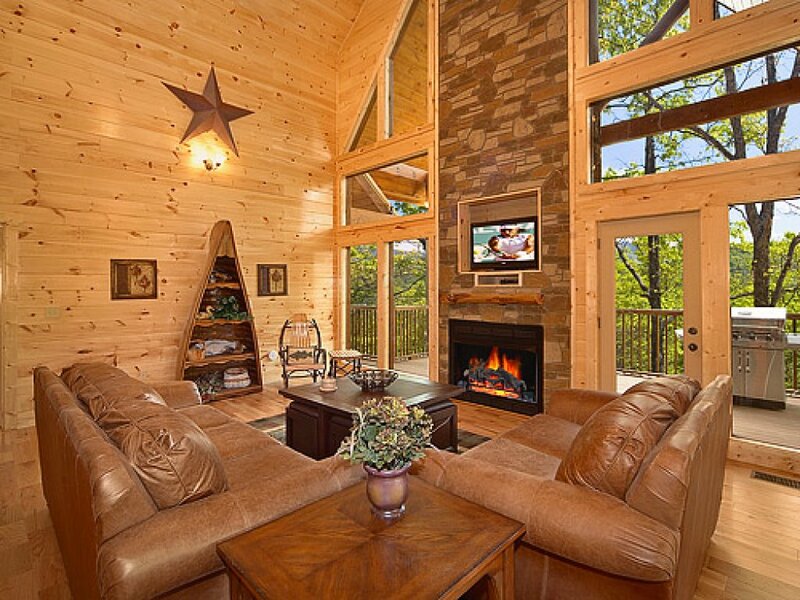 The View is certainly a beautiful cabin full of top-notch amenities for the entire family to enjoy. 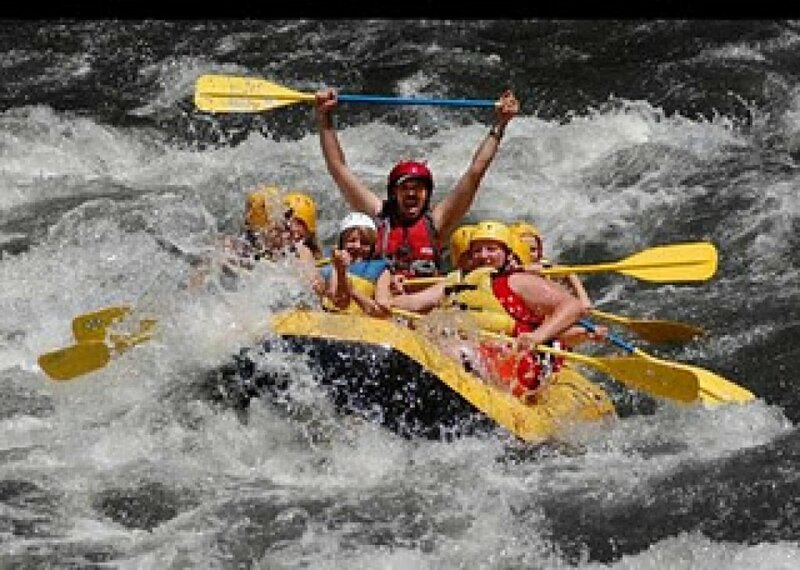 The location is ideal for accessing downtown Gatlinburg or The Great Smoky Mountains Nation Park. 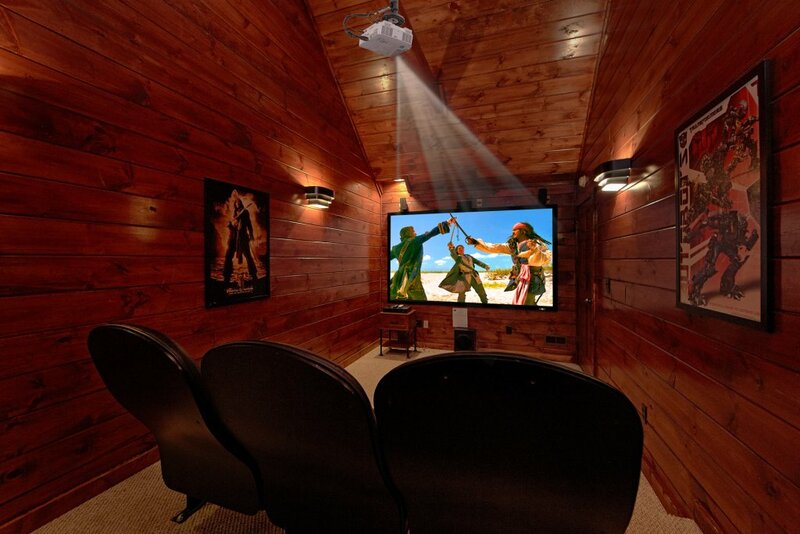 You definitely chose the right cabin! 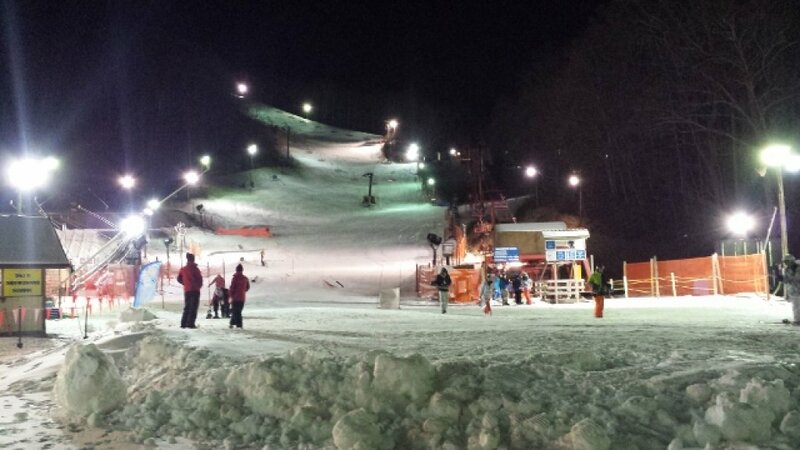 We appreciate all recommendations, and we hope you and your family will make plans to visit with us again also. Please keep in mind, as repeat visitors you will enjoy 10% off all future bookings! This cabin is the best cabin I've ever had. Good location, clean and well equipped. 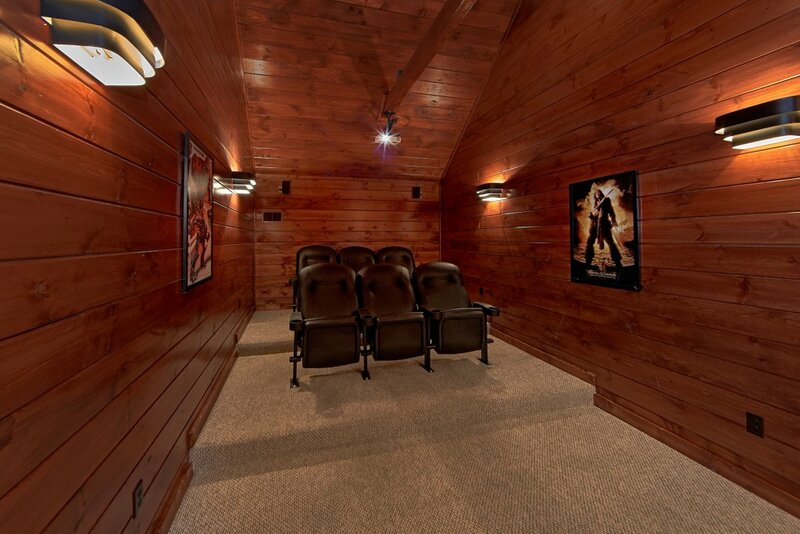 It even has a movie theater. Kids really like the arcade game and the air hockey. I strongly recommend it to anyone who wants a cabin experience. Thank you for your kind review, Chenyang! 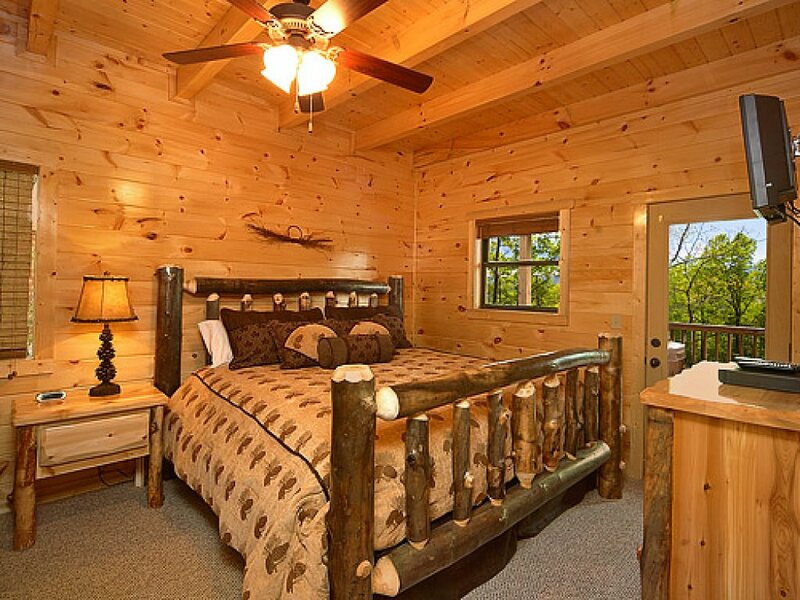 We are delighted to hear this was your favorite cabin. 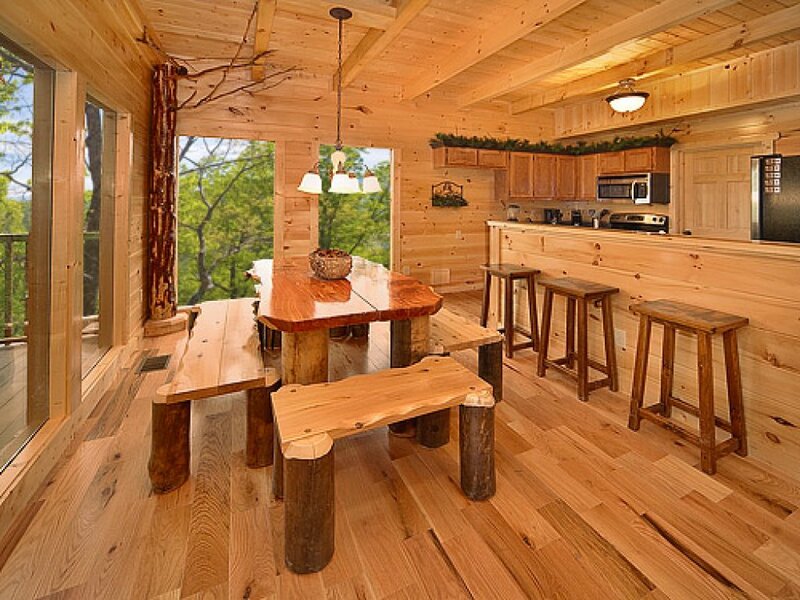 You certainly chose the perfect cabin to relax and enjoy some memorable family time. We enjoyed having you as our guest and hope you will consider staying with us again in the future. 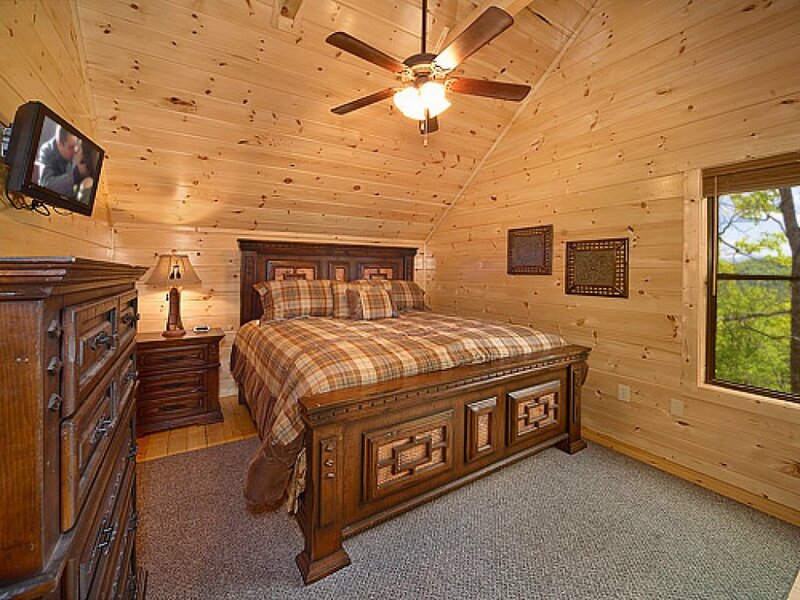 Great cabin with lots of amenities! Beautiful and clean. Easy check-in/check-out process (we actually checked-in early!). Thank you. Thank you for your wonderful 5-Star review, Benjamin! We are delighted to hear we exceeded your expectations. We enjoyed having you as our guest and hope you will consider staying with us again during your next visit to Gatlinburg. Wonderful time at The View. 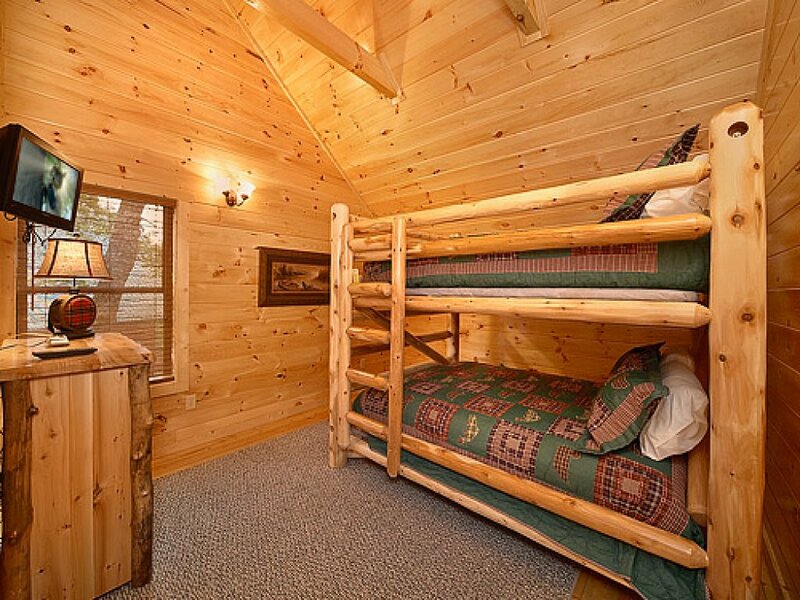 Cabin was clean and well laid out. Kids enjoyed the arcade game, air hockey and pool table. Great location with easy access to grocery, downtown Gatlinburg and national park. We appreciate your wonderful 5-star review, Michael. 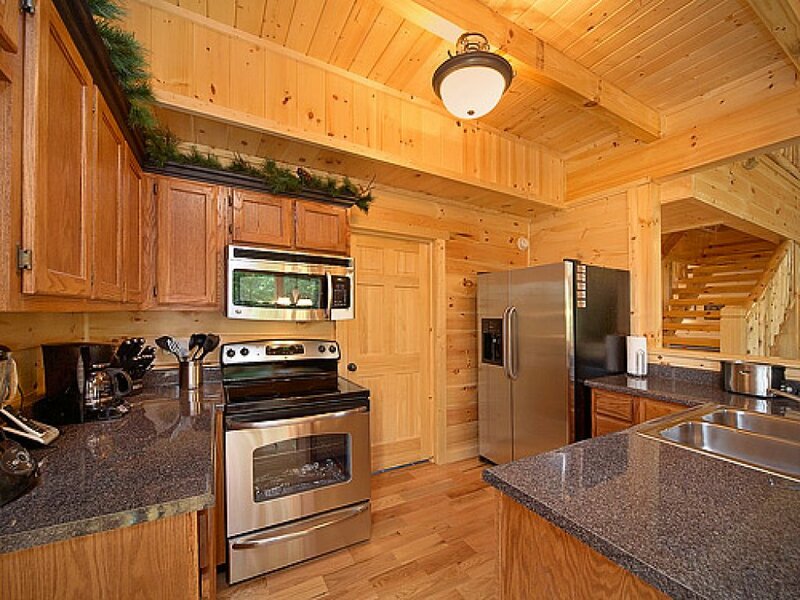 It sounds like you chose the perfect cabin for you and your family to relax and create lasting memories together. 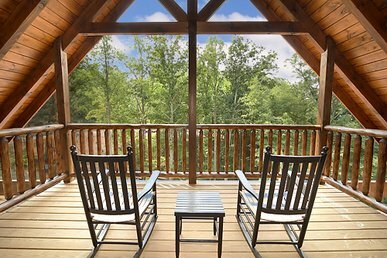 The View is certainly full of top-notch amenities for everyone to enjoy and, as you mentioned, the trip to Gatlinburg or national park is an easy one. We hope you will make plans to visit with us again on your next trip to The Great Smoky Mountains. Thank you for sharing your holiday with us! We enjoyed our time at the view. There was plenty to do in the home to keep 3 small children entertained. The knives in the kitchen desperately need to be sharpened. Everything was very clean. Thank you for your wonderful review, Rebecca! We are delighted to hear you enjoyed your stay. Thank you for letting us know about the knives. 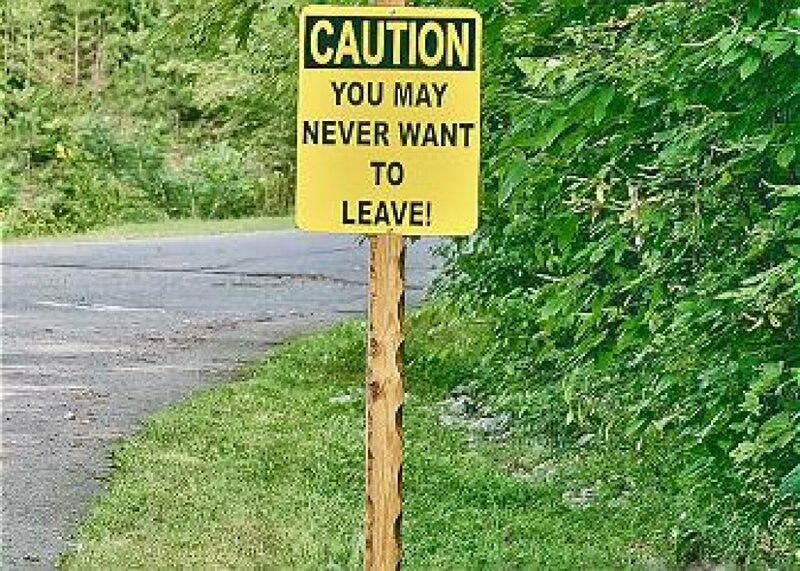 We will have those replaced prior to the next guest's arrival. Please do not hesitate to call us during your stay should you discover an issue such as this in the future. We keep a variety of items stocked and ready to be sent out when needed. Please don't suffer, call us. We love assisting our guests! We sincerely apologize for any inconvenience experienced and hope you will consider staying with us again in the future. We are pleased to hear that your stay at The View was just what you needed. We hope you will make plans to visit with us again on your next trip to The Great Smoky Mountains!